About 10 years or so ago I met Dawn Deaner. She had just assumed her role as the Chief Public Defender in Nashville, Tennessee. For those of you who don't know, the Nashville Public Defender Office is almost 60 years old. They have a long, impressive history. Some of the very best lawyers in Nashville have worked at that office, and some of the best-of-the-best have served as its Chief PD. Dawn was the first woman to assume the role of Chief. Many, actually I think most, assumed Dawn would stay the leadership course, and why the hell not, "if it ain't broke …" Well that's the 'problem' with Dawn. She seldom follows the leader. She's an independent thinker. And when Dawn looked at that Office she identified "issues" she believed needed to be fixed. In Dawn's opinion, the Office wasn't client-centered, it had no workload controls, judges had too much influence in the day-to-day operation of the office, lawyers weren't sufficiently connected to their clients or their client community … and that was just a few of the "issues" she took on. A decade later, client-centeredness is the cornerstone of the Office. Most of her staff have been trained at Gideon's Promise and are committed to a client-centered representation model. The Office now has full workload control. They have a Client Advisory Board that communicates to staff how clients see the office and the criminal justice system. They have developed representation standards that define the quality of representation clients should expect from their attorney. They have created a community bail fund and have launched the 'Defend Nashville' campaign where staff regularly share with the Nashville community what defenders know to be true about the criminal justice system. The 'Defend Nashville' campaign has started a grassroots movement powerful enough to bring about meaningful criminal justice reform in Nashville. 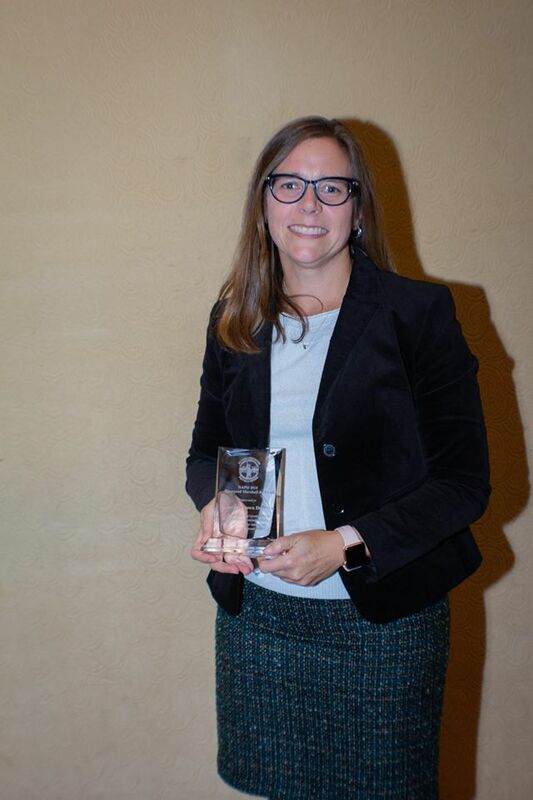 NAPD's Thurgood Marshall award goes to one of our members who best exemplifies the NAPD Vision Statement “Eradicating injustice by fostering high-quality client-centered advocacy for those who cannot afford counsel.” That description perfectly describes Dawn's work for the last 10 years. As I served on NAPD's Award's Committee for our 5-year celebration, I can tell you there were many qualified nominees for the inaugural Thurgood Marshall Award. None, I respectfully maintain, are better qualified than Dawn Deaner. We would all be well-served to familiarize ourselves with her work and, I suggest in this case, we should follow the leader.